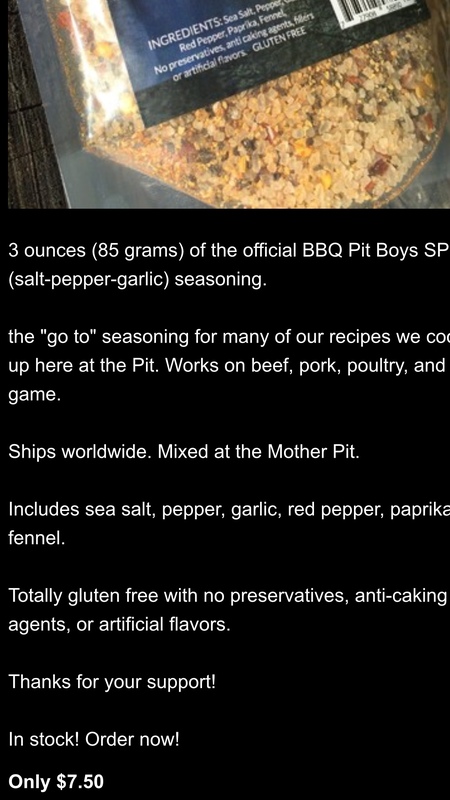 Bbq pit boys used to have there spg recipe posted on there web site but have started selling it now, but I thought I screen shotted but I guess not does anyone have it? I used it twice and liked it if I remember it also had dill in the ingredients! Thanks for the replies I thought about both options, but I am almost positive they had a recipe for spg that had dill in it, I love dill I guess I will just have to play around. I dug around in my files. That is the recipe that I copied a few years ago. Them pit boys got it goin' on... ! It's real guuuuuud!